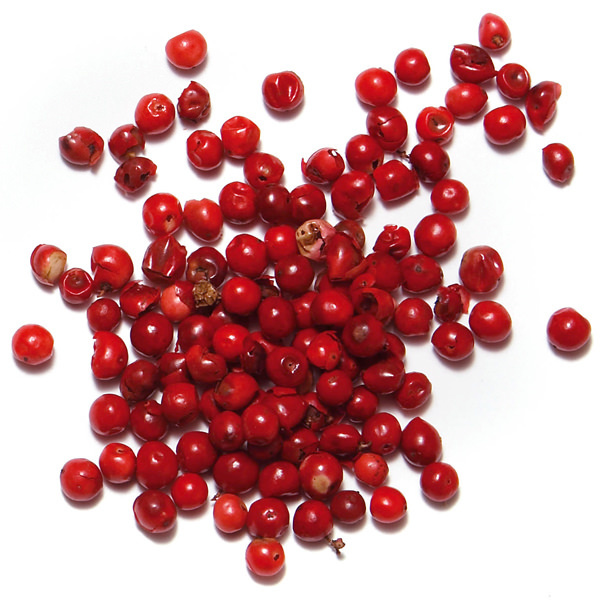 Other names : Afromum Melegueta, maniguette, melegueta pepper, alligator pepper, Guinea pepper. A rare, peppery spice from the same family as ginger and cardamom. 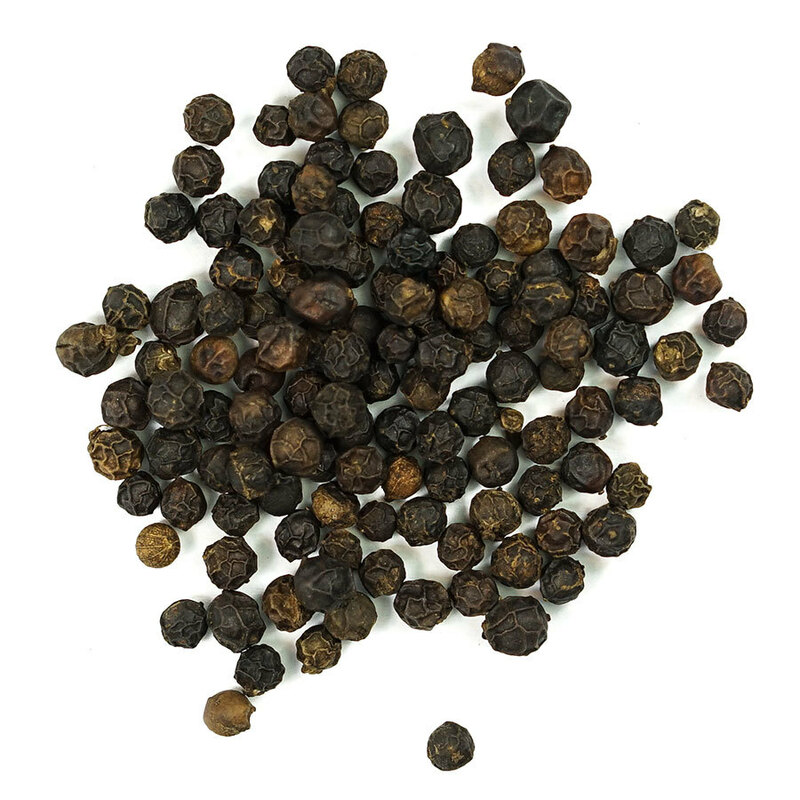 Melegueta Pepper, or Grains of Paradise, is a west African spice, most commonly cultivated in Ghana and Nigeria. 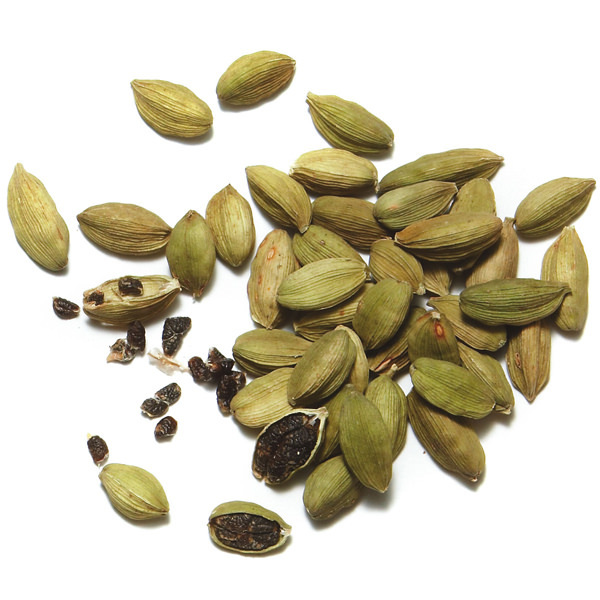 Its fruit bears seeds not unlike those of black cardamom, but much larger and paler. Greatly prized by European chefs into the 18th century, it slowly lost popularity in modern times, and is now rarely seen outside of Africa. Grains of Paradise are surprisingly peppery, with a gentle but lasting burn. Their fragrance is at once floral, peppery and camphorous, with citrus tones. 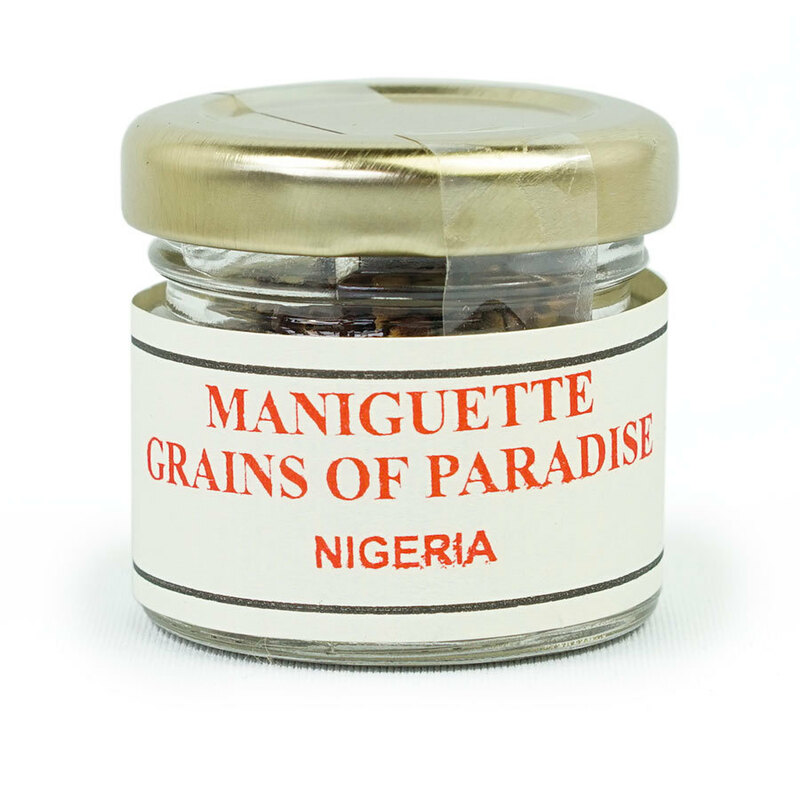 In Africa, Grains of Paradise are used like black pepper, ground into soups, onto meats and simmered dishes. In the Middle East and North Africa, they’re often added to spice blends, like Ras-el-Hanout. 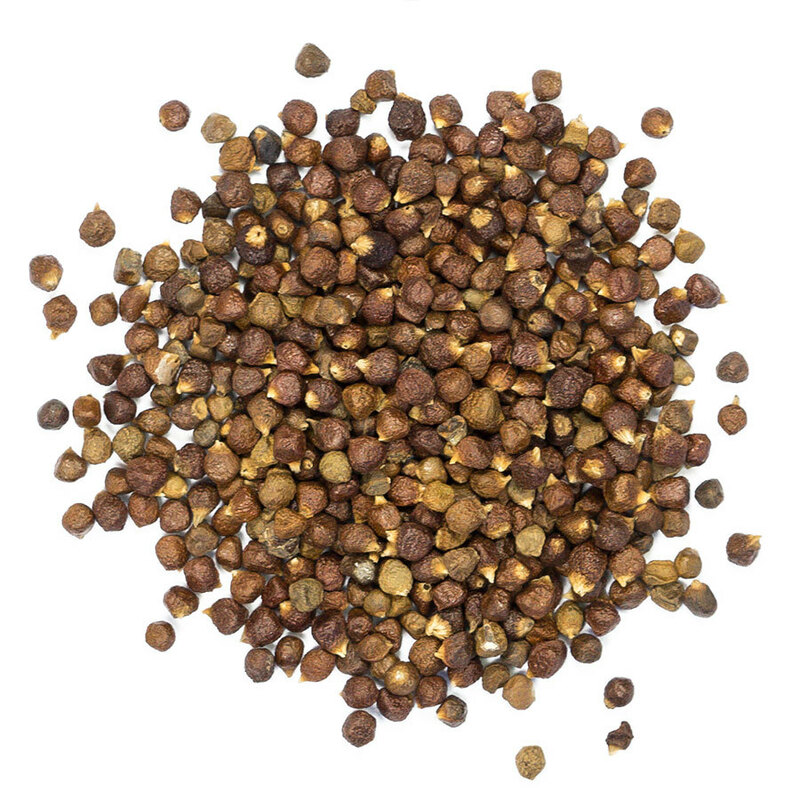 Grains of Paradise is also used to flavor alcohols like gin, aquavit and pastis. We like them on barbecue, or even (sparingly) on chocolate dessert.